My name is Jim Brown. I am a retired Professional Law Enforcement Photographer (29 years). I took an interest in photography in high school and have been at it ever since. I am a graduate of Gwinnett Technical Institute, and have an Associates Degree in Commercial Photography. Over the years, I've had photos published in National Geographic, Spaceflight Insider, America Space, the Atlanta-Journal Constitution, FloridaToday, CNN, Aviation Week and Space Technology, Nasa's Astronomy Picture of the Day, the Washington Post, Space Launch News, the Sanford Herald, Georgia Peace Officers magazine, and many others. Books include Forensic Photography, The Importance of Accuracy, Relics of the Space Race, and Space: From Earth to the Edge of the Universe. I had the honor and privilege of photographing the Space Shuttle program for 23 years. I loved it, and miss it tremendously. Current interests include Old Cemeteries, Airshows, Civil War Reenactments, Old Abandoned Buildings, Concerts, and Patriot Guard Rider events. 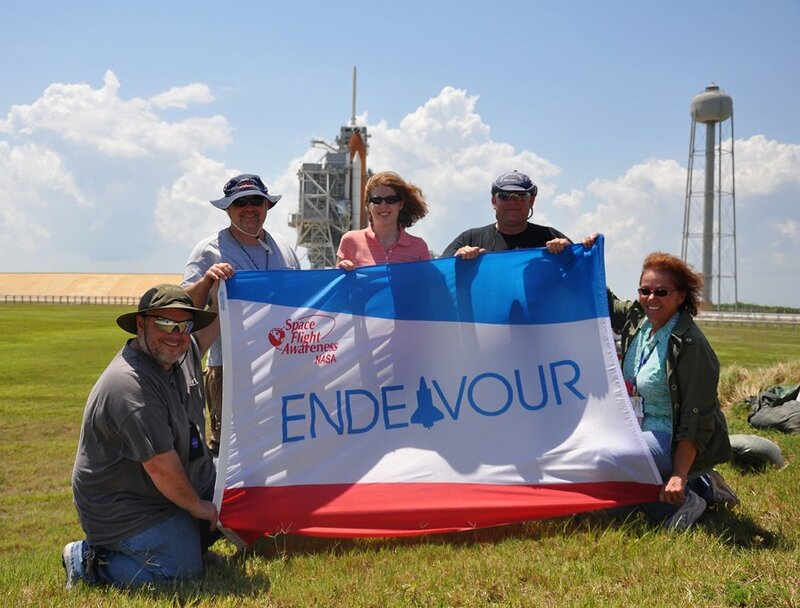 Below, me with some of the finest people in the business, my friends, at Pad 39A following remote camera set-ups.